We’re beautiful, we’re powerful and we’re bright. We have dinner on the stove and an ace up our sleeve. Our phone’s always on, and so is our lipstick. We think it before we say it and we pour it without spilling it. We prefer automatic but we have the manual down pat – and we won’t drive if we can taxi instead. We know our Mondays from our Wednesdays and we keep our week on the fridge. We say “I love you” a lot. Because we do. We love to hug and to heal and to save our kids from bruises and cuts – and Barbie. There’s a place at our table and a space in our hearts for the good things in life. We share our feelings and our hand creams. We share our lives. We are brave and we are blunt. We are, magnificent. 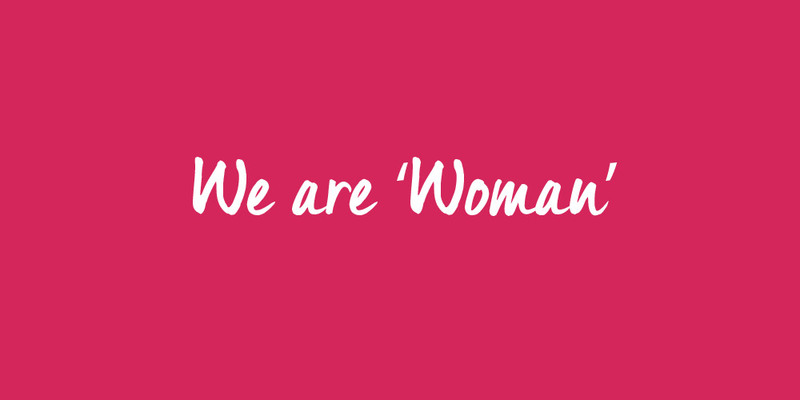 We are “Woman”.